The sun is shining, the heat is here and the pools are now open! The good news is many pools in the area are opening 7 days a week, according to the City of Boston. Mayor Menino recently made the announcement of 10 city pools that will be open every day of the week for residents to enjoy! Unfortunately, with more time outdoors and more time in the pool, the risks for accidents are much higher. The City departments as well as non-profit and corporate partners are working to help to integrate and increase summer programming within the city, to help to make sure that each child resident has an opportunity to do something positive every day of the summer season. In addition to the programs that are being held at community centers across the city, the City of Boston and the Mayor are holding hundreds of city pool parties, movies series, outdoor programs and concerts across the city and in local parks. Our Boston personal injury attorneys understand that children are out of school for the summer and are looking for a good time. Unfortunately, many of these good-time activities involve some serious risks for accidents, especially with the heat we’ve seen in recent weeks. We’ve seen temps in the upper 90s! For that reason, it’s important you do your part to help you to keep our little ones safe in the summer heat and when playing in and near the pool. Unfortunately, heat injuries are likely for children when we’ve got weather this hot. It only takes a few minutes for them to endure a heat illness. This happens when the heat quickly increases your body temperature beyond its comfortable 98.6° F.
“Now we are also making our City pools accessible to residents 7 days a week, for the first time ever, for anyone who wants to cool off from the summer heat,” said Major Menino. If you’d like to know what’s going on in your neighborhood, you’re urged to check out the Find Your Summer website. But before you do though, we’re asking parents, guardians and childcare providers to review the follow safety tips to help make sure that everyone is safe during this summer season. -Make sure everyone is well hydrated. Drink plenty of water. -Make sure that you use your sunscreen! -Never allow children to swim unsupervised. -Keep a cell phone near you at all times in case of an emergency. -Consider outdoor activities early in the morning before the heat swoops in. -Never stay out in the sun for too long. -Teach children to float or swim as soon as possible. -Avoid drinking and swimming or hanging out in the heat. 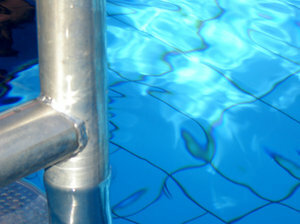 -Keep electronics away from the pool and away from other water sources. -Keep rescue devices and first-aid supplies nearby. If you or someone you love has been injured in an accident in Boston or in any of the nearby areas, contact Injury Lawyer Jeffrey S. Glassman for a free and confidential consultation to discuss your case. Call 877-617-5333.